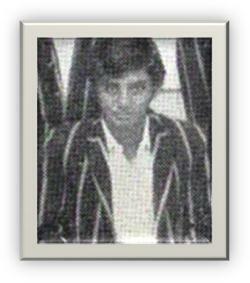 Gajan attended Royal College from 1966-1974 where he represented the first X1 cricket team in 1971 and 1972. He had the distinction of making the highest fresher’s score in a Royal-Thomian match at that time when he most unfortunately was out just short of a well-deserved century for 97! I was fortunate enough to be able to watch and experience this classy knock at first hand from the other side of the wicket for the entire innings where we were associated in what was then a record breaking stand of 178 runs. to do his Masters after which he returned to the Cambridge University UK to do his doctorate which he did not complete as he was recruited by the World Bank for their Young Managers Program. He has the unique distinction of representing both Oxford and Cambridge at cricket. Upon completion of his undergraduate studies Gajan returned to Sri Lanka and represented the country in a Test match when we were still playing unofficial tests. 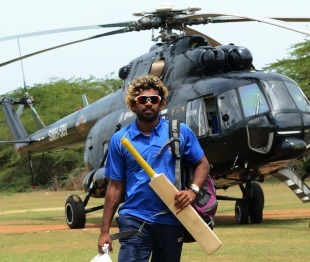 He also played for Sri Lanka in the ODI team. Read the rest of this entry ? 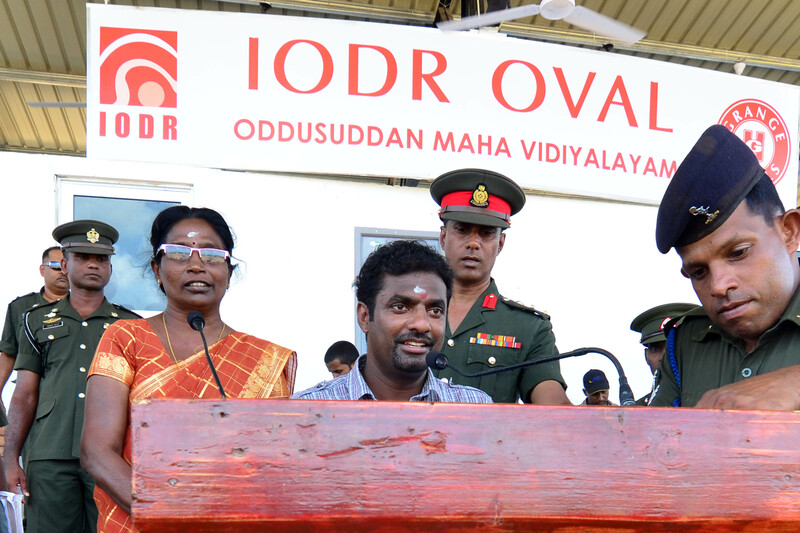 Muttiah Muralitharan addresses the tournament finalists of the Murali Harmony Cup in Oddusuddan. Muttiah Muralidaran greets the Shakthi Anuradhapura Ladies, runners-up of the Murali Harmony Cup at the IODR Oval in Oddusuddan. 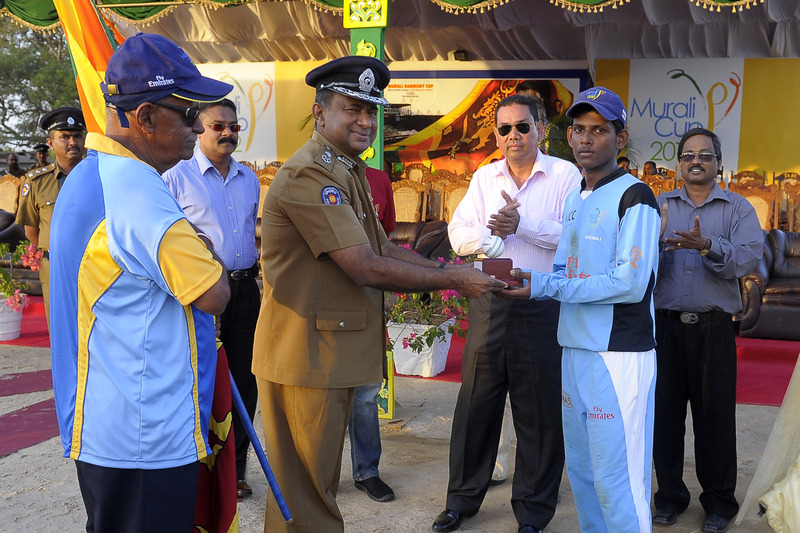 Sri Lanka Army clinched the inaugural Murali Harmony Cup with a tense 16 run victory over Shakthi Ladies from Anuradhapura at the IODR Oval in Oddusuddan on Wednesday. Watched by a large crowd, including excited children from all the surrounding local areas and Sri Lanka spin legend Muttiah Muralidaran, Army took early control of the match with a solid batting display. Read the rest of this entry ? Sri Lanka Cricket, together with MAS Holdings launched the new attire for team Sri Lanka at a grand ceremony held earlier this week. MAS Holdings will be the official clothing partner for the mens and womens national cricket teams for the next three years. MAS, who already shelter hundreds of national sporting greats who have represented Sri Lanka in over 20 different sporting disciplines, is proud for being a valuable partner of Sri Lanka Cricket. Commencing with the attire for the ICC World Cup T20 kicking off next week, MAS Holdings will gear the national men’s team, women’s team and A team, U-19 team and junior national teams. The total outfitting solution will consist of all game day clothing for Test, ODI and T20 matches including performance base layer innerwear, sweaters, head wear as well as practice kits and track suits. The new uniforms of the cricket team were created to enhance performance whilst providing the players with the most comfortable garments, incorporating futuristic design elements and modern technological advancements. The sublimated yellow print on the front of the garment not only celebrates national pride, but also portrays the energy and confidence of the team with futuristic appeal. Thus, symbolizing the complete image that Sri Lanka cricket desires to represent at the T20 World Cup and beyond. Read the rest of this entry ? 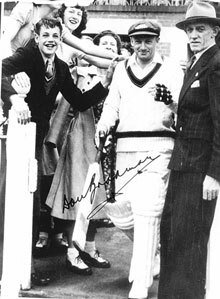 But Bradman was parsimony personified. He would rather read a book than breast the bar. When Arthur Whitelaw presented Bradman with BP 1,000, For his 334 at Leeds in 1930 (today’s exchange rate is over 200), he didn’t buy his mates a single drink. Rancour was fuelled. It is well known that Bradman’s vindictiveness resulted in the premature end of ‘Tiger’s career. Read the rest of this entry ? … and Yes Percy is there too! You are currently browsing the Critiquing Cricket blog archives for September, 2012.